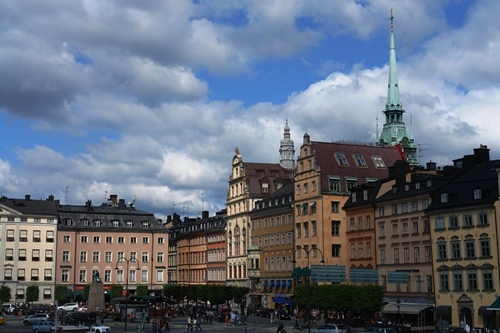 What to say about Stockholm? 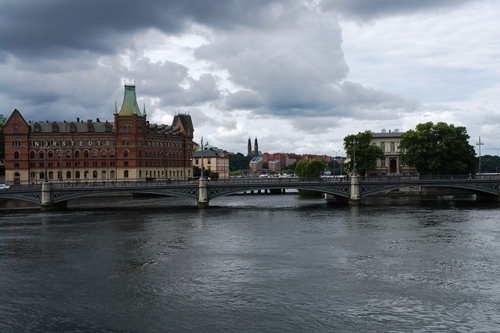 It was the one place in Sweden where I already had certain preconceived ideas about what to expect; from the islands and the parklands to the particular style of houses of the old town quayside that I had seen on pictures before we left. 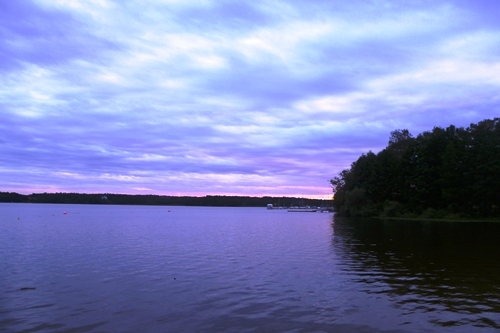 We stayed at a campsite in the woods and right on the water, but only ten minutes walk from the T-bana metro line into the city, and it was an interesting way to experience a “city break”, returning each evening to our tent beneath the trees and late night walks down to the water’s edge. 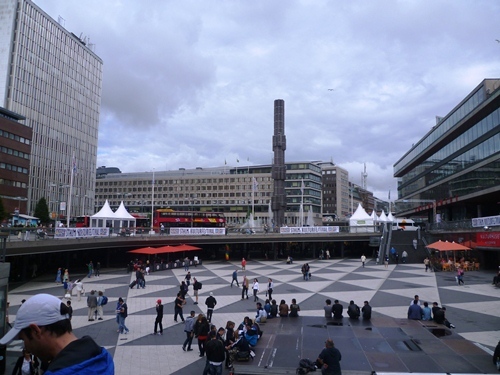 The one downside/advantage of camping – depending on how you see it – is the early morning starts, and we arrived into Stockholm’s central metro station on a Sunday morning where it felt like the majority of the population were sleeping off the after-effects of the night before, whilst council-workers hosed down the mess that they had left behind. The walk down the pedestrianised Drottninggatan shopping street towards the Gamla stan (old town) was relaxed, aside from the whirring brushes of the street-cleaning vehicles, as the owners of souvenir shops stood on the steps of their businesses and looked hopefully up and down for custom. 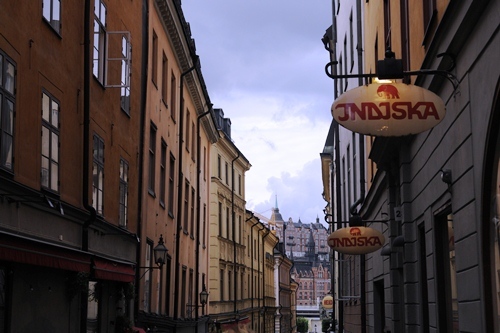 In any case, as tourists ourselves we cannot complain about the number of people wandering the lovely old streets on an August Sunday, but it was the overriding impression of the Gamla stan, as is so common in many old towns around Europe. 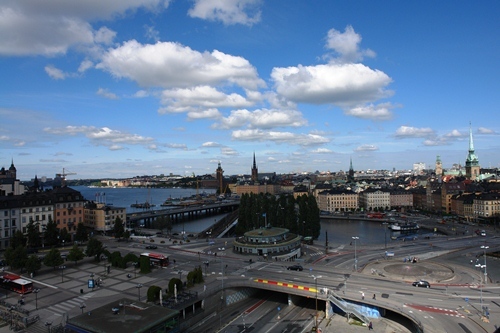 What is always interesting to consider is that it is not all that long ago – perhaps fifty or sixty years – that neighbourhoods such as the Gamla stan were little more than slums, their apartments cramped and without facilities, and it was only the onset of mass tourism that led to the investment and improvements that make them so attractive, and so busy, in the present day. There was time in our couple of days only for snapshots, of liveried guards outside the castle and the wondrous wooden products of a Gamla stan toy shop, the elegance of some of the T-bana metro stations and the grandeur of some of the institutional architecture, and of course the pleasing sense of space that is afforded to all cities built on the water, offering residents and visitors alike a sense of wider perspective beyond the hustle and bustle of the streets. This entry was posted in Places on September 21, 2012 by Paul Scraton. Nice post, Paul. 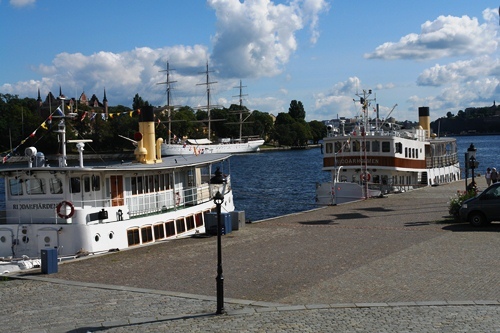 I was really impressed by my brief visit to Stockholm last month – a city very much on, or rather beside, the water.The Vasa ship museum was quite extraordinary too. 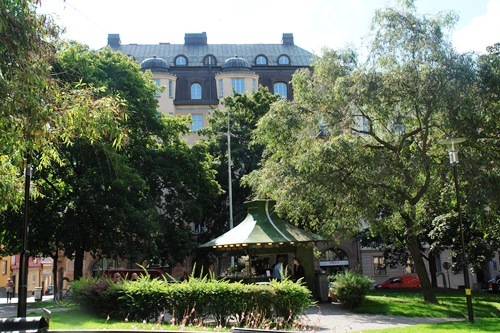 Camping in Stockholm – yes, i like the idea of that.